Christopher Marquez practices in the firm's Commercial Finance Group. Mr. Marquez represents banks and other financial institutions in all facets of asset based and cash-flow debt finance transactions, including acquisition and working capital financings, senior secured transactions, split lien transactions, recapitalizations, club deals, broadly syndicated deals and cross-border transactions. He has extensive experience drafting and negotiating credit, collateral and subordination documentation for complex finance transactions involving borrowers across a broad spectrum of industries and sectors, including manufacturing, retail, technology, software, business services and agricultural. Mr. Marquez is admitted to practice in Illinois and California. 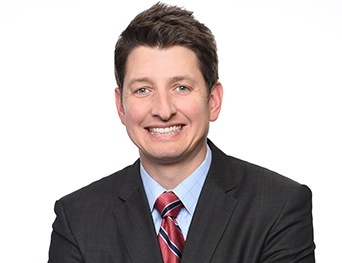 He is a founding member of the Young Professionals Group of the Midwest Chapter of the Commercial Finance Association which is comprised of over 300 professionals. He received his law degree from the University of Michigan in 2010 and his B.S. in biology from the University of Michigan in 2005. Represented a major finance company in a $205 million senior secured broadly syndicated credit facility to a global pharmaceuticals manufacturer. Represented U.S. and Canadian administrative agents in connection with provision of $240 million asset-based credit facility to major aerospace parts manufacturer. Negotiated split lien intercreditor with senior secured noteholders. Represented a major bank as administrative agent in a $65 million credit facility providing acquisition financing to a major art supplies retailer. Represented a major finance company in a $30 million credit facility in connection with the leveraged buy-out of a software company. Represented a major finance company with the workout and restructuring of a credit facility for a national provider of refrigeration parts and services.